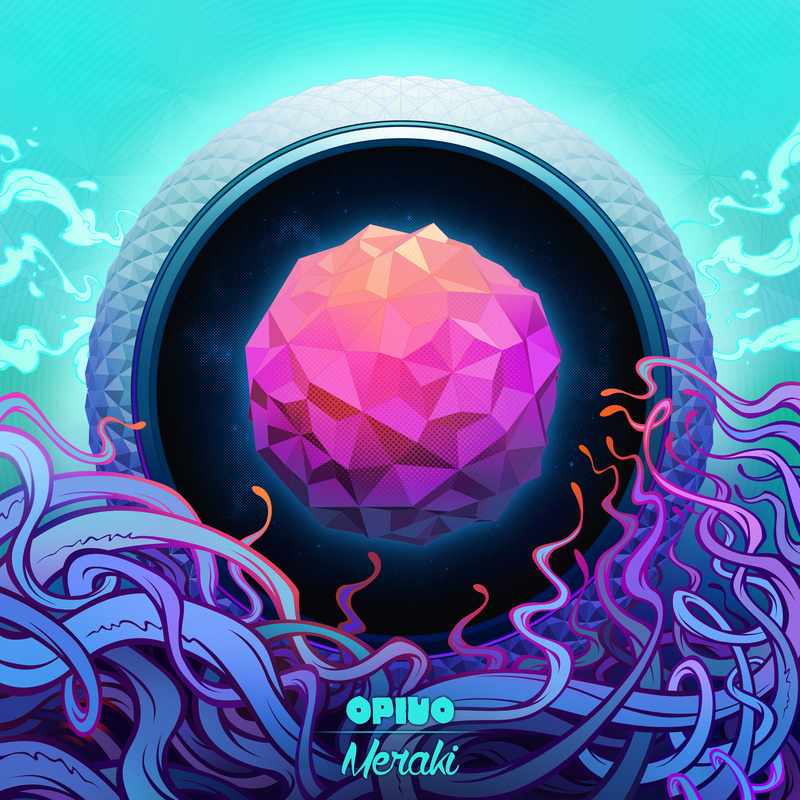 In the weeks since the release of Meraki, the second album from New Zealand glitch virtuoso Opiuo, the EDM blogosphere has abounded with positive reviews. As a typically harsh critic who doesn’t mince words, I’ve been going through somewhat of an identity crisis in my responses to Meraki, having to forgo nay-saying for the high-flown language which is necessary to describe the album. Elliott– I actually couldn’t listen for a few days, I get “god-I-hope-the-artist-hasn’t-fallen-off” anxiety with new releases. I’m superstitious, though I never should have feared. Great album. Opiuo– Haha. Cool. Yeah, the fear of losing someone close to you is immense, glad it didn’t happen. I went on, not with more needless compliments, but a request for an interview on the production of Meraki, which he agreed to honor as soon as an opportunity presented itself on the upcoming tour. Yesterday, such an opportunity manifested- Opiuo had a full day off in Seattle, before bringing the ruckus to Foundation. He gave us a buzz here at the ElectroJams office, we sat down to chat. EJ- Meraki. The responses have been great. Are we finally seeing Opiuo catch on in a big way? OP- Really, I’m feeling it, with this last album, the few shows I just played here (the U.S.) have been bigger than they’ve ever been before. At Coachella, I was playing at the same time as a few big acts, I think Calvin Harris maybe? Anyway, someone a lot of people are going to go for, and there was still this massive crowd at mine. So I was stoked. Really cool. EJ- Meraki. (Mer-ah-ky) Wait, Is that how we pronounce it. How do we pronounce it? EJ- Damn. We had a bet about that one over here. Mer-ock-ee. I guess that does make more sense. Forgive me, I’m an American. OP- Yeah, it’s alright. I grew up near this place called Kaiteriteri, (Ky-teary-teary) in New Zealand, and one day we met this American dude who hitching there, and he was like, “Hey dude, can you get me to Kay-ter-ee-ter-eye?” I’m used to it. EJ- Ok. Anyway. Meraki. So, you took time off tour entirely to work on the album? No shows at all during that period? OP- No. Nothing else. Everyday. Everyday. EJ- About how many hours a day? OP- Some of them were massive. I was waking up at like eight in the morning because I just couldn’t sleep, getting to the studio by nine, and being there, working, until two A.M. That was when I was going hard. Then, towards the end, I was having to do nine to five hours, because I was done, exhausted really. EJ- How much of that time was spent tracking? Recording? Mixing? OP- Well, most of the songs I had ideas for, or had started, some of them I’d written a year ago. So I had two or three minutes worth of these tracks that I’d been playing in my set and trying them out, and as I was touring I was adding things and seeing what would work. I was doing that, recording those, and keeping them as ideas. And then I got that time off, probably about two months, where I only played one festival. The last month was basically mixing, and mastering. Before that was just sounds and writing, I did “Spuzzle Bucket” then, and that one with Spoonbill, “Ladies”, so more of that type of thing. I was like often like “oh, I need a song for this” or “I need something new at this point in the album”, a “last track”, you know? There were a couple which didn’t make it, that always happens, and they may be on the next EP, they just didn’t quite fit, but I still love them. I don’t know. EJ- We love “On Your Side“. A real deviation for you. Where did that come from? OP- I wrote that… actually, originally, it had a vocal on it, but I wasn’t allowed to use the vocal in the end, it was a bit disappointing, we had the okay, and then we got the “nokay”, which was okay, I actually wanted to get Russel (Russ Liquid) on it anyway, with the vocal as well, so when the vocal wasn’t an option, I was like, well, lets just run without it, because I really wanted to get a cool track going on, definitely something different, I mean, I love Russ, love what he does, so I sent what I had off to him, and a week later, he sent me the parts, and I chopped it up, sort of rearranged where he had things and it worked really well. EJ- Certainly. Now, we kind of perceive this new album as like, way dancier than the super-glitchy kind of material you were coming out with before. In that sense, were you trying to make this album more accessible at all, give it more heavy dancefloor appeal? OP- Yeah, that song especially, “On Your Side“, just gets people in the zone. I’ve found there is a tough line, a decision to make, between making music you want people to just listen to, and making music that’s going to make people want to dance. EJ- Yeah, the glitchy stuff had people scratching their heads on the floor. We certainly aren’t seeing a lot of that on the new album. Not that we ever had any problem with the glitchy stuff. OP- Quite hard actually. Lot of layering, involved bussing of a virus sound, my virus, I have this setting on there… I think I first made that sound for “Ripple”, one of the weird tracks, that was a part of that, and I wanted to make it more insane in “Fizzle Tickler“, probably spent a day on just that. EJ- In general, the clean sound on the Meraki- much different than Slurp and Giggle, and everything before Butternut Slap part three, describe a little of your intent there. EJ- Slurp and Giggle was more of compilation of songs you’d composed over the years, right? Was that a big difference then, Meraki, I mean, just producing something as an album in one shot? OP- Well, I still had a lot of time in between writing some of the songs, there were three or four songs that I wrote over the year, quite a while ago, and then I got to the point where I had to re-adapt them into the album form. It was one of the first times I’d really wanted to write an album, I hadn’t just collected tracks. It’s a mission. I found the it one of the hardest things, I’ve had to do in my musical career. Making an album, its like a piece of you, you spend so long thinking about things, you have so many sleepless nights. I’m only just letting it all go. EJ– You posted on Facebook recently, asking people their favorite tracks on the album, so you could remix it live. Doing a little market research? OP– Not really. Just seeing. When I go to play a show, there are some tracks on the album that I really put a lot of effort into making fresh again when I play them live. I get days off every now and then and that’s what I like to do. OP – Ah man, I haven’t even played that one yet. I actually nearly played it last weekend, but it was late- night, and I think, for me, that track is more kind of daytime when people are out there doing their thing and it’s this kind of weird transition that gets fucked up and goes down that path…I think that’s a really cool thing to do. Then I can take it and loop it with live drums or something; that’d be fun.